Luxury Brands enter the African Market through the birth of MODAN, a joint venture between StorAfrica Group and Adunmadan. 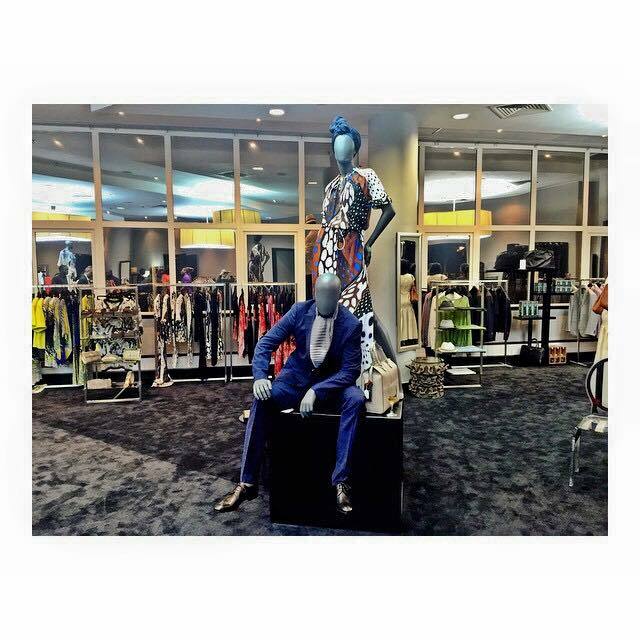 July 8, 2015 – IKOYI, Nigeria — After much preparation, extensive market research and several meetings with the world’s top luxury brands in Milano, Paris, Geneva, London, Johannesburg, Mauritius, etc., a state-of-the-art luxury concept store finally comes to a premium location in Ikoyi (Lagos, Nigeria) with the opening of “Modan”. ‘StorAfrica’, a renowned luxury retail specialist in collaboration with ‘Adumadan’ (in which Mrs. Aisha Oyebode is a major share holder) have entered into a thrilling venture to bring luxury retail and the world’s famous brands to Lagos in a new, fresh and innovative way. The new MODAN store is bringing customers an ultimate experience with its serene and welcoming atmosphere including a wide range of top-end brands such as La Perla, La Perla beach wear, Giorgio Armani Man, Giorgio Armani Women, Roberto Cavalli Women, Roberto Cavalli Man, Armani Colezzioni Man, Armani Colezzioni Women, Giorgio Armani shoes, Giorgio Armani bags, Roberto Cavalli bags & accessories, Bex Roxe Jewellery, Crea Jewellery and Casadei. The store should be home to about 25 new brands by the end of the year. Being an ‘authorized licensed’ retailer of these brands, customers are sure to get genuine, high quality, same pricing and the latest collections at the store. The birth of MODAN comes from Africas long time interest in the global luxury market and the interest of luxury brands as they realize that Africa’s wealthy class is fast growing. Pioneering values of joy in life and hedonism are intrinsically inscribed in the minds of discerning people and are perfectly conveyed at MODAN which is offering an unprecedented shopping experience to its visitors. “The proposed atmosphere that is currently being developed by our architects and designers for the permanent Store – which is already perceptible in the Temporary venue – is greeting visitors and clients with the ambiance of melting African modernity, European elegance and Anglo-Saxon glamour.” says MODAN Partner Dominika Herzig. MODAN is the epicentre of a world of fascination and discoveries in Lagos.